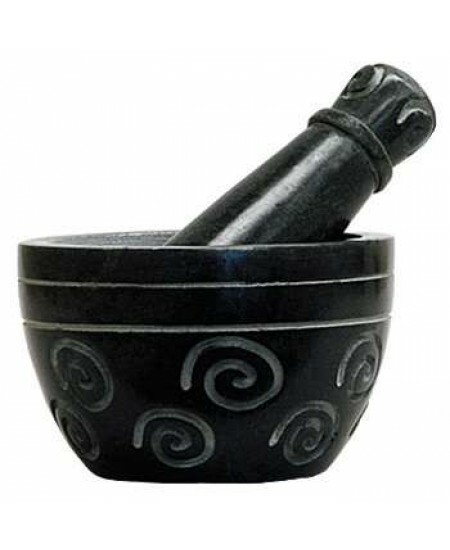 This Spiral Design Mortar & Pestle is made of real soapstone and is handmade in India. This Spiral Design Mortar & Pestle is made of real soapstone and is handmade in India. 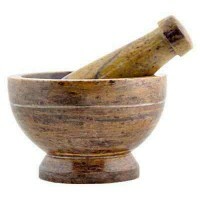 Mortar & Pestles are wonderful for grinding and mixing herbs, spices, resins and woods for herbal blends, teas, or incense. 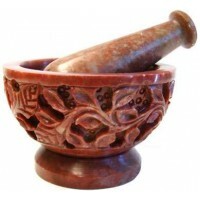 Beautifully finished with the spiral of life design. 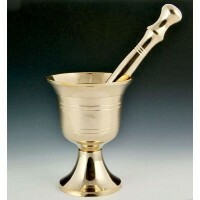 Bowl is 2 1/2 inch high, 4 inches deep with the matching grinding pestle. 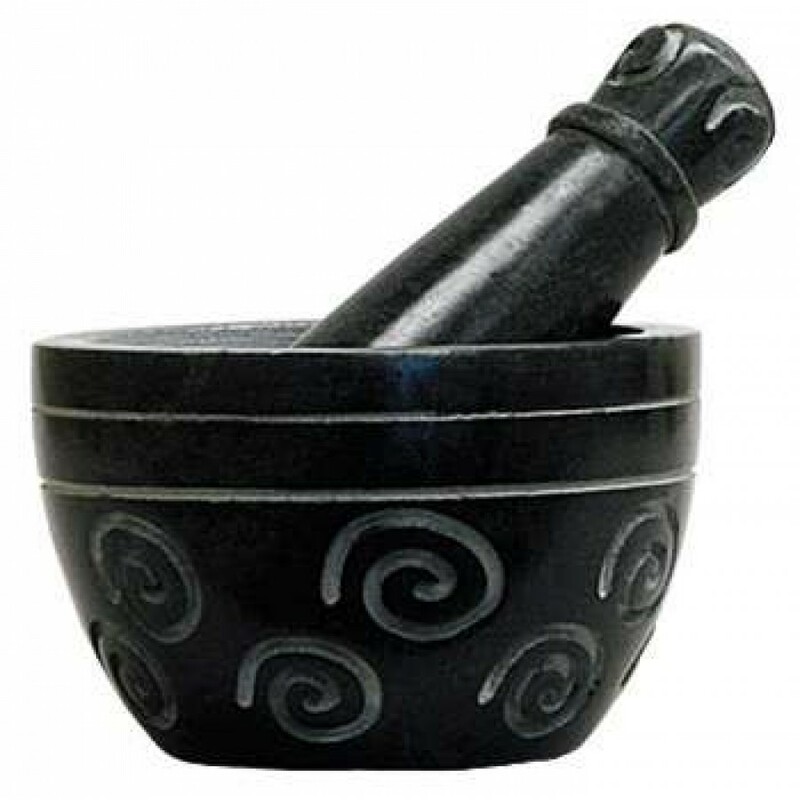 Item Number: OI-SBR504 | Approximate Size (Inches): 4.00 wide x 4.00 deep x 2.50 high | Approximate Shipping Weight: 3.00 lbs.